Green leafy vegetables are among the healthiest plant foods that offer a wide range of benefits. These superfoods contain some of the most potent antioxidants and natural compounds that promote the body’s overall health. Doctors around the world have long recommended that people incorporate green leafy vegetables — such as spinach, cabbage and broccoli as well as lettuce, kale and Brussels sprouts — in order to maintain a healthy body. Green leafy vegetables are known to contain a vast number of important vitamins and minerals that help ward off diseases. Kale, for instance, has become a sought-after superfood largely due to its high nutrient content. An entry posted on the Nutrition and You website lists the many nutrients found in green leafy vegetables. 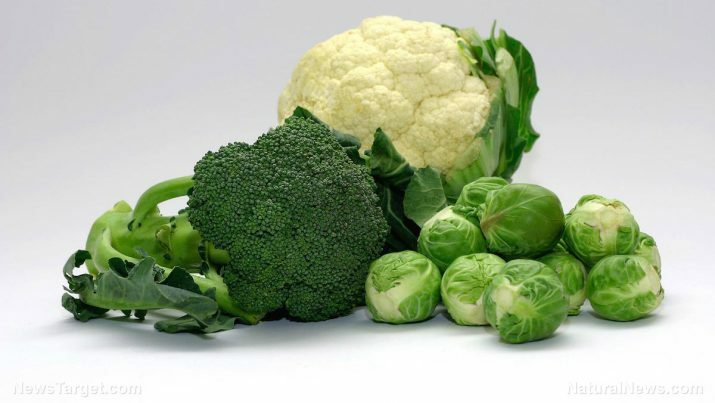 Green leafy vegetables such as cabbage and kale are highly regarded superfoods that help keep cancer at bay. A large number of studies have long established that green leafy vegetables contain powerful antioxidants that counter the harmful effects of free radicals and prevent the onset of cancer. The superfoods also boast of carotenoids and flavonoids that fend off certain types of cancer such as stomach, colon, skin, and breast cancer. Likewise, green leafy vegetables are a rich source of cancer-fighting compounds like indoles, sulforaphane and isothiocyanates. Regular consumption of green leafy vegetables is a scientifically-proven way of preventing the disease. Green leafy vegetables are also beneficial in boosting the body’s metabolism and improving the digestive system’s overall status. The superfoods are found to increase the body’s metabolic rate by aiding red blood cells in delivering nutrients to various organ systems. Green leafy vegetables also contain an ample supply of essential vitamins and minerals that help improve nutrient absorption. Likewise, green leafy vegetables such as collard greens are notably high in dietary fiber that facilitates healthy digestion. Aside from these, green leafy vegetables are touted for their positive impact on the cardiovascular system. The superfoods are known to contain antioxidants and anti-inflammatory effects that protect against cardiovascular damage. Green leafy vegetables are also valued for their cholesterol-lowering effects that help stave off a number of cardiovascular conditions. In addition, green leafy vegetables are known to strengthen the bones and lower the odds of developing osteoporosis and endocrine bone disease. According to previous studies, green leafy vegetables are notably rich in calcium, vitamin K, and other essential vitamins and minerals that improve bone density. Similarly, the superfoods are found to significantly improve brain health and ward off cognitive conditions. The high B vitamin content in green leafy vegetables are known to enhance memory and learning, while the carotenoids and other natural compounds are known to protect the brain from cellular damage. Furthermore, green leafy vegetables are touted to prevent anemia and boost the chances of conceiving. Green leafy vegetables are generally beneficial to the body’s overall health. The superfoods boost the immune system and enhance its disease-fighting capacity. Likewise, green leafy vegetables are beneficial to the heart and circulatory system as well as skeletal, digestive, nervous and reproductive systems. Green leafy vegetables can be eaten fresh as salad greens or could be steamed, roasted, stir fried or sauteed. The superfoods can also be incorporated in soups and stews. Online recipe generator SimplyRecipes.com has curated a vast number of interesting vegetable dishes across the web. Green leafy vegetables prevent cancer, heart disease, and cognitive conditions. Green leafy vegetables support the immune, circulatory, and the skeletal systems. Green leafy vegetables also benefit the digestive, nervous, and reproductive systems.